You have to really listen to people. Not only what they say, but also what they don’t say. The whole story is told, not only in what is said, but also in what is held back. Take this blog, for example. Readers sometimes applaud my transparency. I do try to be that, but honestly, the best I often manage is selective transparency. Too often, I write from my comfort zone. Admittedly, I have a really wide comfort zone for transparency, but there are topics you don’t see here. I still have broken places: my childhood, my marriage, my bank account. Not a lot of transparent posts about those things. You should pay attention to that. God does. This is how God works: Knowing my broken places, He moved me into a run-down house we can’t afford, that my husband chose, despite my objections, directly across the street from where I grew up. He aims straight at my brokenness. How He uses this mess to heal me and glorify Himself – now that’s the post you want to read, but I don’t want to write. Why show you my mess? Everyone cleans up for company, right? It’s not normal to invite people to sit beside the dirty dishes and the laundry. He’s not put off by my broken places. He pushes me too show them to others – not because my messes are particularly fascinating (they’re not) but because when He transforms them – that is a thing of beauty. Still, I wrestle with Him. I’d really prefer to write about your pain – not mine. My pain is boring. Writers avoid clichés, I don’t want to be one. I want to make you laugh and think me witty, insightful, and unusually close to God. There’s nothing witty about my check book at the end of the week, or my marriage in the middle of a fight. My marriage – well, it’s just a real marriage. We have amazing nano-seconds of closeness when we believe we’re soul mates, interspersed with vast epochs of time when dear friends hand us business cards for therapists and lawyers. I can write about marriage without bleeding right now because the bones of our relationship are resurrected again. We’re hoping to make this renewal last to our 30th anniversary next May, but we’ll probably experience marital osteoporosis sometime around New Year’s. And my childhood. Wow. There’s nothing more humdrum than sad childhood stories, right? Boo-hoo. I didn’t get everything I needed, and now the little girl inside me is still searching. That’s the kind of transparency that makes people cough softly and look away, hoping you’ll spare them the details. But, that’s me. It’s as much a part of who I am as the writer who makes you laugh, and think. Despite being fifty-six, somehow I’m still mostly six-years-old, looking for acceptance, attention, and a place to belong. He’s right. Which is why I’m writing an entire book about how to have hard conversations and filling it with the one’s I’ve had and flubbed, and then had again. But as much as I talk about Jesus, what I really want is for you to think I’m something special. I want to give Him glory, but it’s all mixed up with wanting to stand beside Him in the spotlight and get noticed, too. I’ve always felt like a stained-glass window. When the light is shining, it’s a thing of beauty, a work of art. But when there is no light, it’s a dull, lead-lined, black thing that doesn’t even make a good window. Jesus is the light that transforms me into something worth seeing. I have the potential for beauty, but not until I’m filled with His light. I am like anyone you’ve ever met or find in the mirror. Jesus is the One you’re here to see. It’s in the places I am silent He speaks the loudest. In the places I am broken, that He shines. All I can give you is a blog post and a glimpse of my broken places. He can give you all you’ll ever need. If you offer Him your brokenness – He can use it twice. Once, to testify to you of His power and love and then, to testify of it to others. What are you holding back? Might God use it in the telling? Lori, I hear you. We are all broken and trying to hide it. I really like the analogy of the stained glass window. In my time of greatest brokenness, I felt like a piece of glass shattered on the sidewalk. I knew he would repair the glass, but those joints would always show. Perhaps He was turning my life into a stained glass window–even more beautiful, when the sun shines through it, than plain glass. You’re doing pretty well so far, Carole! Ha, Lori! We always knew you were one of us. That’s why we follow your blog. I don’t think I’ve ever NOT projected dirty dishes in your sink or your husbands stinky socks somewhere they weren’t supposed to be. And I don’t think I ever saw you sitting at a mahogany Queen Anne desk inside a library room with cases of books all neatly lining every wall except the one with the french doors leading out to the garden. I have seen electrical outlets with no covers and bare bulbs that should have been hidden under light shades; bare studs where drywall should be and a dishwasher that never really cleans, it just kind of helps cake on another layer of detergent. You are a little more transparent than you realize. Which is why you’re relatable. Keep being led by the Spirit. We hear what you’re saying. Thank you, Joyce! Have you been spying in my home? I love how you keep it real, Lori. Because we’re real, whether we want to admit it or not. God bless and please … keep writing the hard stuff..
You’re a strong encourager, Nancy! Your story felt so parallel to mine. I have also just moved back to where I grew up (at the Lord’s leading) to a house across the street from my 92-year-old mother to help take care of her, or so I thought. My mom seems resistant to my help. The house I bought is also rundown and I can’t afford it either. But I know it was all His leading. I keep reminding myself that “His ways are not my ways and His thoughts are not my thoughts”. This all keeps me so dependent on Him. I’m 69, divorced, working full time as a drug and alcohol counselor, exhausted from this move and at times feel overwhelmed. Thanks for this post. As always, it was a great encouragement to me. The Lord used your words to help confirm to me that I am on the right path even though at times I have felt that I took a wrong turn. God bless you. I love your writing. Wow, we do have so much in common. My day job is with families at risk of abuse or neglect or who have a child with a serious emotional disorder. Exhausting! Mercy and grace abound for us both, Joanne! Oh Lori, as they saying goes. 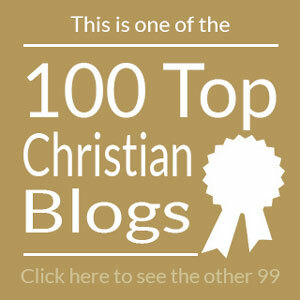 “My heart and your heart are really old friends.” Your post today is the sum of my entire blog. I long to maintain and express transparency in my brokenness. I write with that same longing daily. Some broken pieces are bigger and easier to show. The tiny fragments that remain after you’ve swept the floor but inevitably find their way to your toe…they are harder to spot but remain nonetheless. Thank you and please accept my hearts hug. We can pray for one another, Callie! I love your heart hugs! I’ve been reading your blog posts for years now, ever since a fellow bloggy friend (her description, not mine), also from RI, talked you up in one of her own posts. I love them. Each one always bull’s eyes something I’m dealt with or am currently plodding through or crying over. I rarely comment on them, though. Not because I don’t want to. I know you look forward to feedback. But if I did, they would all sound the same, and therefore, insincere. Like some overly gushing, very embarrassing fan girl. But really – these last two posts of yours (this one and ‘What God did on My Summer Vacation)? Floored. Stunned. Completely. Wow. Not too many people can make me laugh and cry within the same post. But you can. And do. And always, always, ALWAYS, you point to Jesus. I don’t think your pain is boring. It actually helps me to attempt to deal with my own. And your transparency is so welcome and needed in a world that’s become fake everything, and where every Instagram photo of someone’s home, family, vacation, church and life looks like it’s been airbrushed to the max. You stated, ‘I want to make you laugh and think me witty, insightful, and unusually close to God.’ Well, I do. And I also think of you as real. I’m so very grateful for you and your posts, and your books, too. So, thanks Lori. Thanks for every word in every post. I gobble them up like peanut butter M&Ms. Thank you so much for your transparency. It helps me so much when I read that someone else struggles with similar issues — especially a marriage made of two broken people.